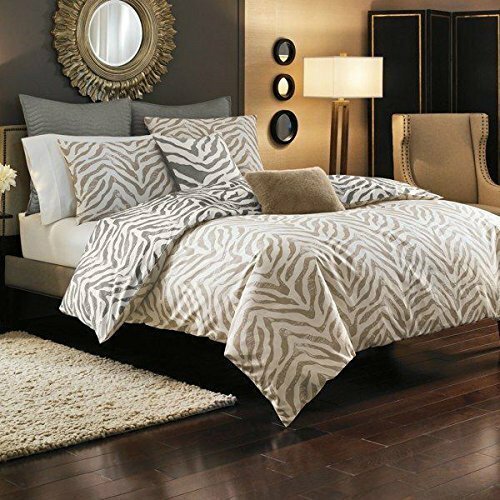 With sophisticated safari styling, the zebra stripes duvet cover and matching shams. bring a touch of excitement and a hint of luxury to your bedroom. The set features soft and soothing animal print colors with taupe zebra stripes on a cream background on one side and gray zebra stripes on a cream background on the reverse side. The full/queen duvet cover measures 88″ x 92″. The standard/queen shams each measure 20″ x 26″ . The set is made of 100% cotton and is reversible.